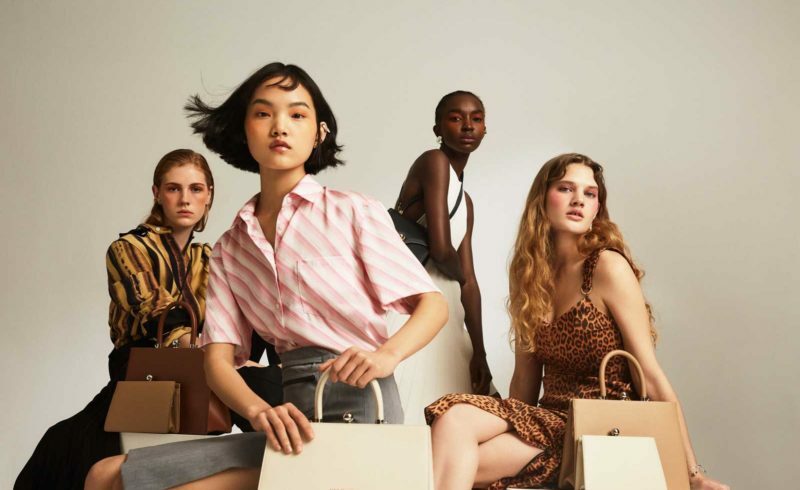 Following the launch of THE VANGUARD in September 2018, NET-A-PORTER continues to leverage its expertise in scouting, cultivating and promoting emerging fashion designers by announcing the selection of four new and exclusive brands for the Spring/Summer ’19 season. Peter Do, Commission, Anne Manns, and Ratio Et Motus – all brands new and exclusive to NET-A-PORTER – will be featured as part of the fashion mentorship and brand development program. As part of THE VANGUARD, these four nascent designers are offered a comprehensive mentorship program encompassing training and guidance from NET-A-PORTER’s unparalleled global team of specialists, providing a 360-degree approach to building a successful and sustainable business. An ongoing program that goes beyond design, THE VANGUARD formalizes NET-A-PORTER’s long-term expertise as an incubator and accelerator of the fashion industry’s brightest new fashion talent. THE VANGUARD will be supported with a visual campaign highlighting the four new brands for Spring/Summer ‘19, alongside previous brands from the first season of THE VANGUARD:Les Reveries, Ruh, Gu_De and Souliers Martinez. Peter Do: An FIT graduate, Peter Do was awarded the LVMH Prize for Graduates and swiftly went on to work under Phoebe Philo at Celine. The collection is made up of beautifully cut, standout shirting and innovative separates. Commission: The trio behind Commission all met during stints at Gucci, 3.1 Phillip Lim, Alexander Wang, and Prabal Gurung. Taking influence from diverse sources such as the globalization of Asia, New York youth culture and corporate dressing, Commission has positioned itself as the intelligent choice for subtle cool. Anne Manns: Berlin-based Anne Manns’ jewelry is inspired by sculpture and nature. Her minimal yet interesting aesthetic is perfectly articulated in the pea and aubergine inspired collections. Ratio Et Motus: Ratio et Motus launched in 2018 founded by Angela Wang and Daniel Li. The brand focuses on creating fine leather goods in classic styles with a modern twist. They produce styles with longevity in mind, utilizing Italian craftsmanship with considered and clever design details. It is vital for us to support emerging designers in a meaningful way. As a global online retailer, we have a responsibility to nurture and develop these brands and prepare them for the future. After witnessing the success of our first season brands under THE VANGUARD, we know our customers are going to respond to this next wave just as positively. We are thrilled to continue this worthwhile program for Spring/Summer ‘19, with four exclusive designers who are really setting the trends.